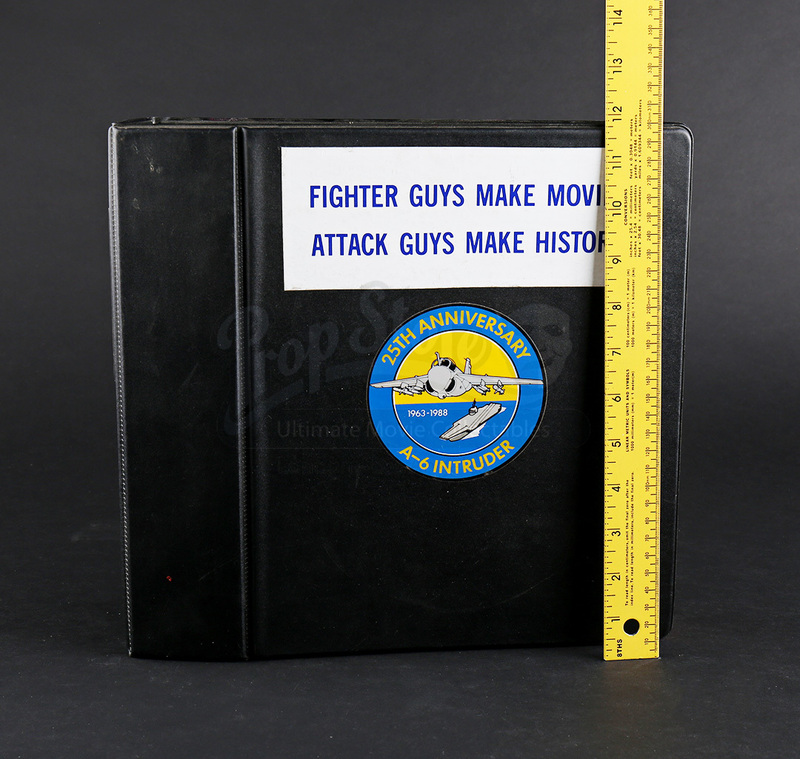 A production binder from John Milius' war thriller Flight of the Intruder. 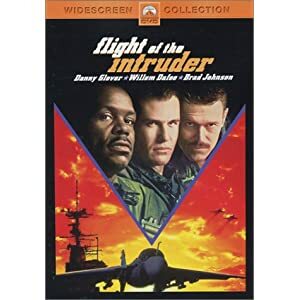 During the Vietnam War, a U.S. Navy pilot and a bombardier plan an unsanctioned air strike on the country's capital. 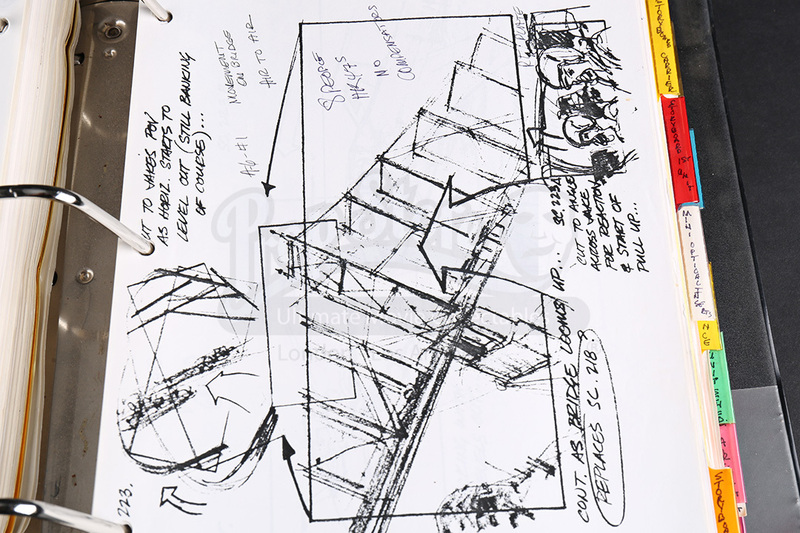 Used by veteran stunt man Terry Leonard, the binder consists of a number of storyboard copies, meeting notes and more from the production of the film. 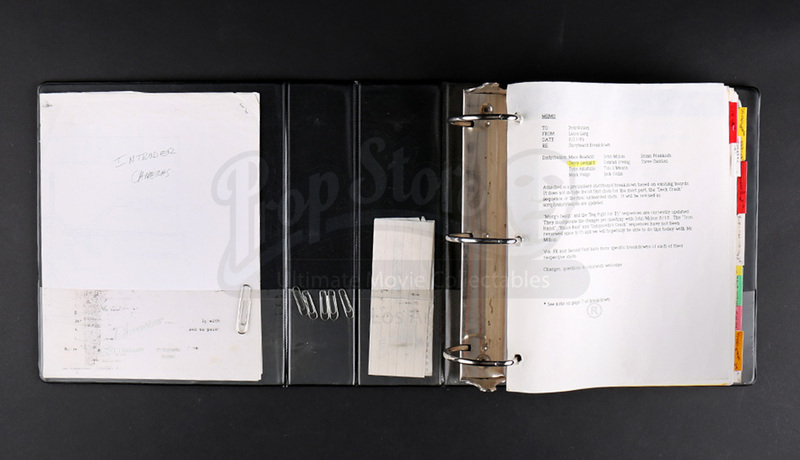 Organized by divider tabs, each batch of storyboard copies is organized by titles such as "Savannah", "Hawaii", "Carrier" and "1st Unit". 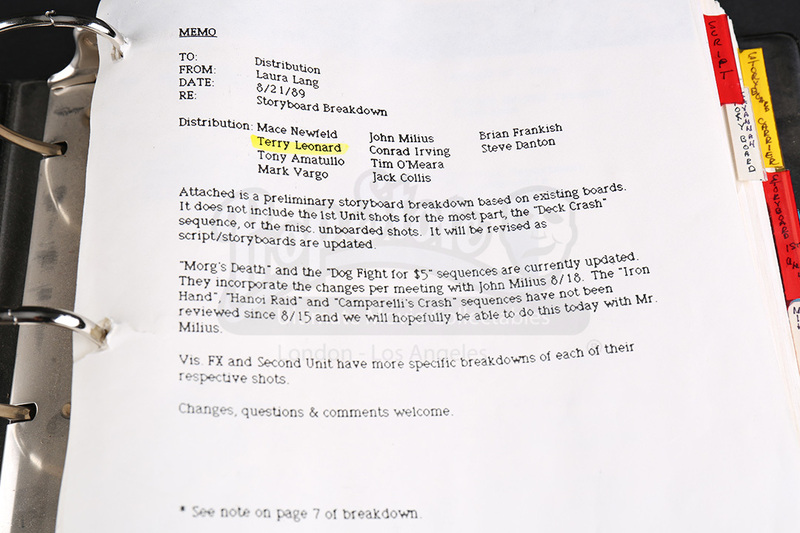 The binder also includes a crew list, first unit production schedule and an aircraft breakdown. 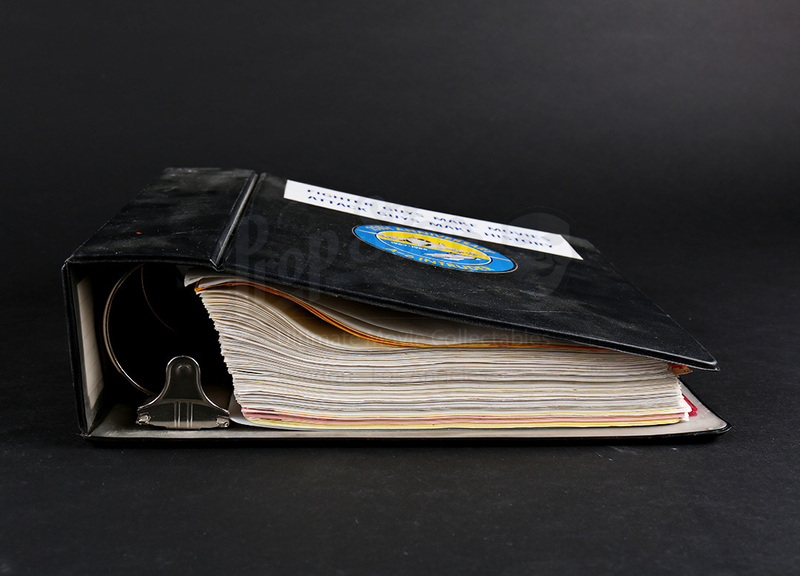 The binder of production paperwork shows some wear from use and age, but remains in overall good condition.